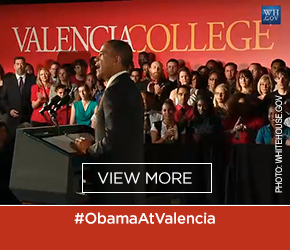 In an effort to illustrate Valencia’s impact in Central Florida, we have spent the year of 2017 – Valencia’s 50th year in the community – telling the stories of graduates who’ve made us proud since our humble beginnings as Valencia Junior College. We’re proud of everyone who has used the lessons learned at Valencia to excel and make Central Florida a better place, but it’s especially heartwarming when our Valencia graduates carry on the legacy that embodies our service to the community: teaching. In January of 2017, Valencia graduate Lois Horn-Diaz (class of ’78) was recognized as Polk County’s Teacher of the Year. Horn-Diaz teaches the gifted program at R. Bruce Wagner Elementary, a school that in 2010 reported 57 percent of students on free/reduced lunch – seven percent more than the state average. In the classroom, Horn-Diaz invites a touch of whimsy into the curriculum, inviting students to “imagine themselves traveling back in time on a hot air balloon ride — visiting Ancient Egypt, the Industrial Revolution and the Middle Ages.” Throughout the course, students gain experience using software, video producing, and even creating books that go on display in the media center, demonstrating what they’ve learned. Horn-Diaz stumbled upon her Valencia transcripts earlier this year while applying for a doctoral program at Florida Southern College. 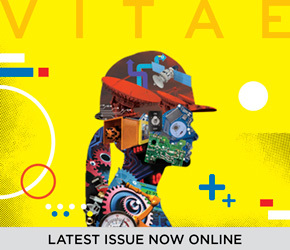 She told us that she has fond memories of her time at Valencia Community College, 1977-78, when she participated in the Orientation to Education program, which provided her with experience at a local elementary school. 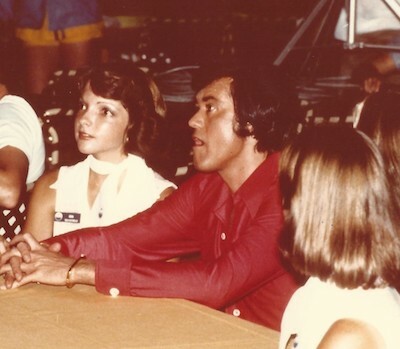 To pay her way through school she served as a tour guide at Sea World before going on to study at the University of Central Florida. While pursuing her master’s degree at UCF, she combined her passion for teaching, her outgoing personality and performing arts skills to serve as the host of “This is Me,” a local children’s television show which aired every Saturday morning on WFTV. In the late ‘80s, Horn-Diaz returned to Valencia, this time as a course instructor at the college’s Osceola Center in downtown Kissimmee, and from there she joined the Polk County School System as a school psychologist. 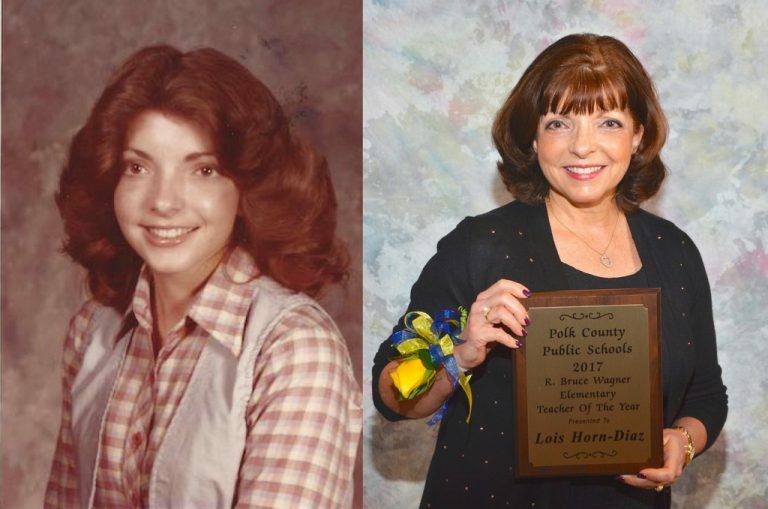 In January 2018, one year after receiving Polk County Schools’ highest honor, she will begin her 30th year of teaching full-time. 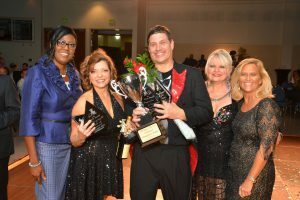 Lois Horn-Diaz after Polk Education Foundation’s “Stepping Out for Education,” a local fundraiser done in the style of “Dancing with the Stars,” where she and her partner came in first place in both the judges’ scoring and audience favorite categories. In addition to winning the district Teacher of the Year award she was honored with an Excellence in Creative Teaching Award from the Florida Association for the Gifted in November 2017, recognizing her ability her ability to bring lessons to life. 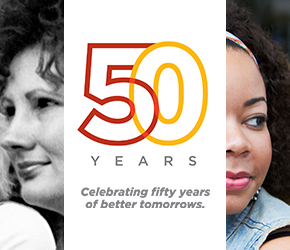 So, to Lois Horn-Diaz – and to a half-century worth of Valencia College graduates who continue to make our community a better place – thank you for finding your better tomorrow, and helping others find their own.